Within the years, the institution has gathered loads of information in several formats such as SHP, DWG, DXF, GeoTIFF and ECW, among others. So, what we wanted was to have all this information available, organized and in a common format with the purpose of being able to provide and display it over the Internet. 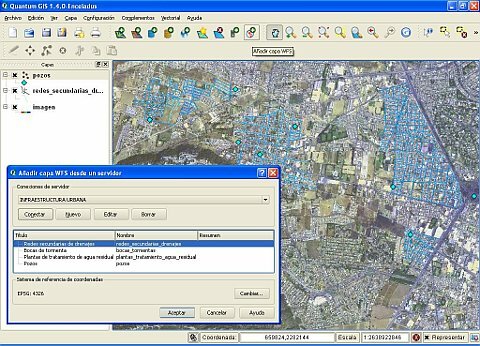 That’s how it was developed the Sistema de Información Territorial Estatal en Línea, with the main target to build a spatial data infrastructure which allows our government agencies to share this kind of information to be included in their own projects as health, security or mobility. I decided to use Mapserver and PostgreSQL with PostGIS extension to be able to deliver our satellite imagery, orthopothos, digital elevation models and vector information with Web Map Services, thinking that any application will consume our services. But the problem was that many of the commercial and free applications don’t work with OGC standards, specially with WFS. After exploring many geographic information systems, I realized that QGIS was the only one which can connect to WMS, WCS and WFS successfully. Internally, we use QGIS to check the raster and vector data of the agencies before publishing it, and after its integration, we used it again to test the Web services that we’ve created. Also, we have done many spatial analysis with QGIS pulling the data directly from our PostgreSQL spatial database, then, we export the results as shape files. 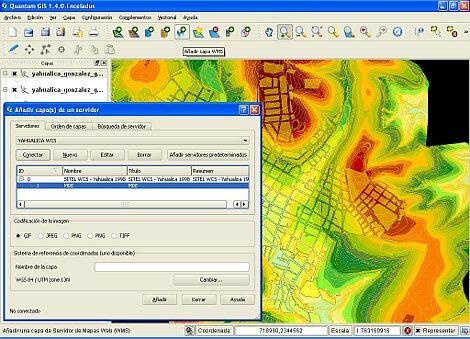 We’re encouraging our users to download QGIS and link directly with our Sistema de Información Territorial Estatal en Línea, mainly because it fully supports OGC standards and has many interesting features like geoprocessing tools, which allow them to make analysis of their interest, and all this absolutely for free. 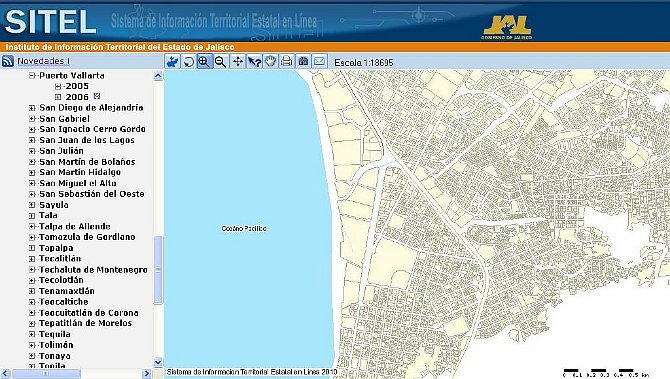 This project understood as the technological component of a Spatial Data Infrastructure, has been considered as a PostGIS case study, and I have to say that working with open source in all of our system’s cycle, has been satisfactory and trustworthy, the best choice that we have found to share our geographic information. This article was contributed in July 2010 by IC Carlos Ruiz. He works as project’s coordinator at the Instituto de Información Territorial del Estado de Jalisco, Mexico.